As the fall color season nears, now is the time to plan a canoe or kayak fishing trip in Minnesota. This time of year – when bugs and blistering heat are behind us- is ideal for exploring new waters amid fiery maples, golden aspens and the wingbeats of ducks and geese migrating overhead. A short paddle, day trip or overnighter are all easy to execute thanks to Minnesota’s system of “water trails.” These trails – sections of more than 30 different rivers – have been charted on maps that show the locations of launch sites, campsites, private campgrounds and more. As a result, you can pick the length and type of paddle of you want. These maps are available at most DNR offices or can be downloaded from the agency’s website. Water trails exist throughout the state and include the St. Croix River to the east, Red River of the North on the west, the Root in the southeast, and the Vermillion, St. Louis, Big Fork and Mississippi in the north. 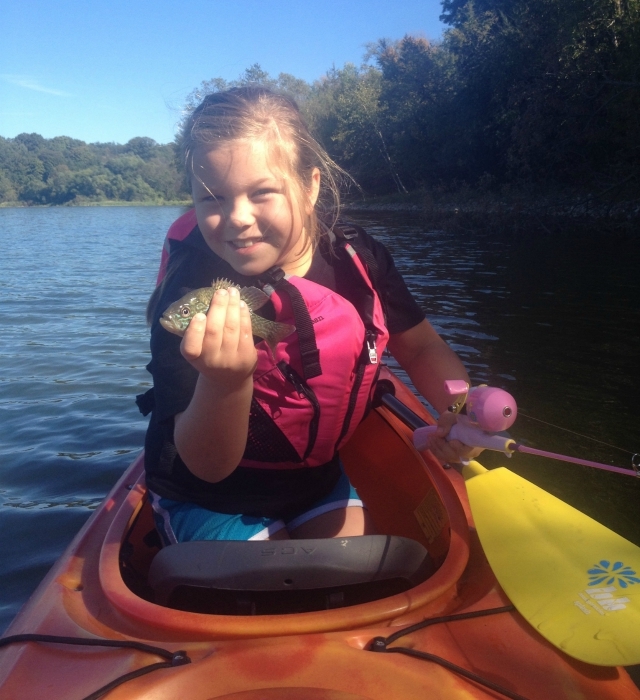 The names and locations of canoe and kayak outfitters can be found on the DNR’s website. 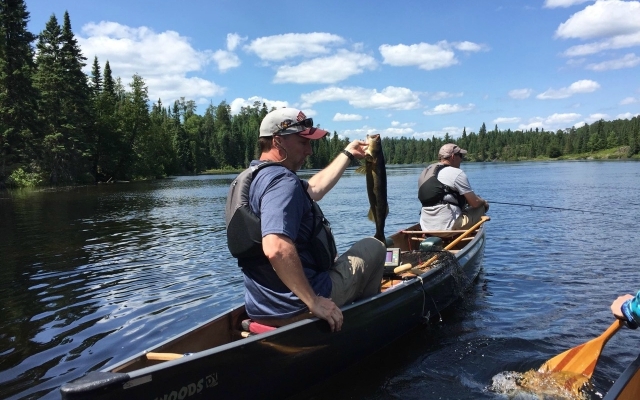 In fact, those who want to fish in the greater Minneapolis and St. Paul area can find a helpful listing of six popular day trips on the DNR’s website. These includes paddles on the Cannon, St. Croix, Crow and Rum rivers, plus two Mississippi River options. Three overnight trips are also listed for the St. Croix, Root and Zumbro rivers. 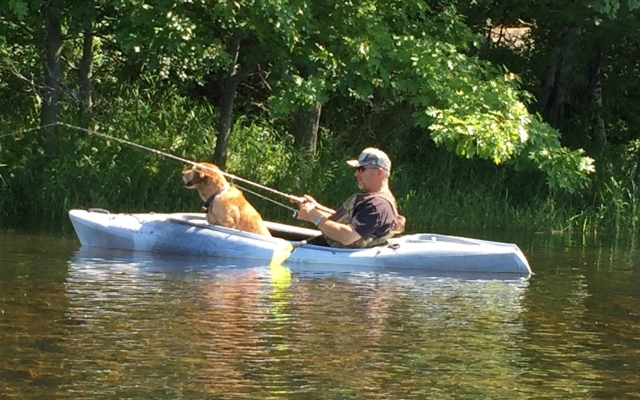 Never fished a river from a canoe or kayak before? Here is some basic advice. Focus on “fishy” spots: Fish have little interest in fighting strong current or being in open areas where they are not protected from predators. So, cast less into fast-flowing open water and more into areas where fish congregate – sunken trees, rootballs along shorelines, below rock piles or downstream of islands. Cast upstream into eddies: Fish also tend to congregate in areas of calm water, especially near the seams of an eddy in which water flows both up and downstream. Fish in eddies typically face upstream and monitor the forage that flows downstream. So, cast upstream and retrieve your lure through these ambush areas. Try a variety of lures: Common lures include crankbaits, soft plastics and jigs tipped with a minnow or nightcrawler, the latter in one-fourth to one-eighth ounce in weight depending on the current.